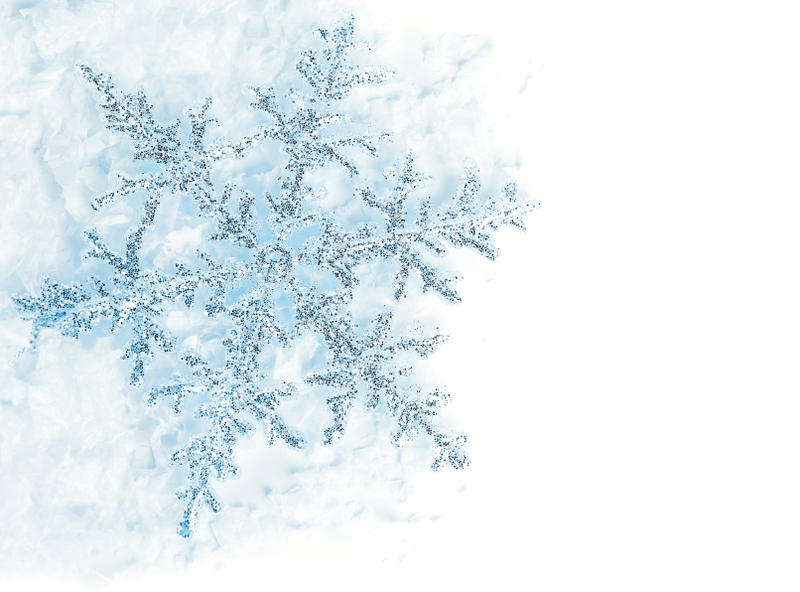 Each one of our personal relationships with our Creator is as unique as each snowflake that dances upon this earthen realm. Though our Creator is unchanging and constant because his very essence is truth and perfect love, our individual relationships with him vary as much as the legendary uniqueness of snowflakes. Like snowflakes, the basic elements that construct our relationships may be similar, but how they are expressed through the interaction of our individuality and his nature creates a distinctiveness of its own particular beauty and glory. Thus, we each wear the expressions of the nature of our relationship to our Creator. And as our relationship deepens, expands and grows so does our uniqueness because his love fosters growth, honor and freedom in the expressions of our individuality. Our individuality expands through an increasing pure love in our lives. Love releases us from the fears, judgments and pride that bind us to conformity. It expands our personality as it flows in and through it, where as all that is contrary to love stifles us. It is love that develops our individuality, and through love we find our truest expressions. Not only is our individuality expressed in our relationship, but also our Creator radiants a unique expression through each relationship. Thus, our intimate connections with him reflect his unlimited expressions of his nature and characteristics. This gift is our personal sacred treasure as it is his. In this awareness, we begin to perceive the infinite value that each one of us possesses. When we perceive this value, we begin to see others and ourselves arrayed in this boundless worth … as beautiful snowflakes. I cried to God, and patiently he repeated himself. I was so overtaken by worldly problems that I missed the point of being. Thank you for spreading Love. That’s what it’s all about. Hi Pierre – As I learn more of our Father’s love … I see how much it is needed in our own souls … and when it is there it is able to flow to others, which, indeed, is what this world needs … we all need. May we pray that we all see this simplicity in seeing others as individuals with “individuality”. When we see others in their indivuality, we with grace accept this difference and pray for their continued growth in the way that they should go, albeit differnt from our path and understanding. This is love, accepting others while they grow (or are grown) in the way God is leading them for His purpose for them. We then, do not see variance, but difference and we do not disparage another’s difference to our calling but we encourage and accept and this individuality God is bringing to our lives, making us unique as this analogy of the snowflake which you so beautiful express in the very love of God. Rachel, your lovely words and this desire I see in you to want the love you have and see of who God is, to be for all, and further by reducing all the words of the law to such a wonderful simplicity of thoughts. Your comments, consummates so much love for others in so few words, this is a love and understanding that can only come by a direct and loving communication with our Father. This is the bond which bonds our friendship, it is not the law of words, but the “word” of the spirit which is the anointing (Christ) in us. Hi Sonny, thank you for your beautiful words. When we start out on our journey, we can be very judgmental of others’ paths .. thinking we know the way, when do this when we’ve yet to learn that we don’t know as we ought to know. I wish I never held those judgments, but that was part of my learning and having walked that path actually created a greater compassion in me for all. So you see, I shouldn’t even judge that! I see how judging only prohibited the growth of others, especially myself, toward love .. for love flees when judgment rears up its head. Thus, it does the opposite of what we desire for ourselves and others … to know love and live love. Being an inspiration is more powerful than being a judge … which truly we only judge ourselves. When we judge another’s path it’s only because we are judgmental of our own, thus we project what we are onto others. I feel our end is to be the truth and live love … a state without judgment. Judging… GOD did give that capability and I believe that capability is to be done according to His will. Could I know more, on what you have learnt about judging? I am aware others walk that same path differently. Yet I believe many could be misunderstanding what GOD means by judging… I think it would be good to share what I know it to mean. But that we should judge according to the Will of God. Prayer is thought Thought goes to the heart. Heart makes a feeling. How you feel and intent is so quantum. Quantum. The word for now. I am sure it runs fractaly deeper. Our imaginations make us limitless. Our minds can talk us out of everything. Prayers from the heart. An electromagnetic boom. I am sure I might be off topic but I am sure it’s not. Lol. P.s.s. Lol. Just a joking. meaning, whenever there is love that’s free. Thank you Guys for your positive comments which encouraged me to further comment, on ….the simplicity of living in the light of the spiritual day. If all of the law and prophets hang on only two commandments which is to love God with all of our being and the second is like unto it, to love others as yourself, does it really take a lot of knowledge, and endless talk to love? After many years of study and as my knowledge of the scriptures and mysteries have increased, I am deeply humbled by the understanding that knowledge “about things” and observances of rituals are not a permanent thing, however love which is spirit is a permanent thing and will remain a part of ourselves….forever. So…should we seek and pursue after an endless knowledge of the law or after an endless and abiding love which God is, and we become in permanence. It is said and recorded that knowledge will cease where love will remain and endure forever. It is also said that knowledge can make one proud and “puffed” up but love is of a humble existence. Many confuse and mistake knowledge for righteousness which is a false and misleading religious concept. Being intellectual and smart is not a prerequisite to the kingdom, but loving God and your fellow man is. It was not that long ago that 90 percent or better of the world’s population were illiterate, they could not read in order to become full of knowledge by much study, however, the very love of God flowed through many of these saints just the same for the epistle was written within them and by the very finger ( spirit) of God. In today’s religious society people are being judged more often by the knowledge of the letter of the law and what they are perceived to “know” instead of by the contents of their heart, should they be judged in error in the first place. Religion is simply judging by a natural carnal understanding instead of a heart of spiritual understanding. This is very difficult for many to understand because they lack spiritual maturity. One’s are so fixated on what this means or that means in scripture that they will debate, argue, and slander another’s views, therefore missing the meaning and purpose of the two great commandments. When we judge, we should make judgements about our own nature and conduct and ask God for a change of heart within ourselves, this is righteous judgement. To condemn, ridicule and cast disparaging comments about and toward others for having a different understanding than oneself has not love, this is a condemning spirit and self righteousness, for one has determined, though falsely, the fate of another. Many who are steeped in an outward religion made up of days, buildings, times and works are trying to climb up by “intellectual knowledge” mistaking knowledge for love which one should have for God and their fellow man. The reason many have so much trouble distinguishing between the two, is that the types and shadows and the words of the law are only a shadow of the true spirit of God. The written letter of the law only “describes” but cannot give life. Knowledge is a vague outline of the true and ones who simply have not and cannot participate in the love of God in spirit can only practice what they know in the natural law. One is death, one is life. One condemns to death, one resurrects to life. Love is easy, love is kind, love is not mean spirited toward others of different views, love tolerates, love forgives. On the other hand “self” righteousness determines, although falsely, the fate of others. If you look at a shadow cast on the ground by an object, it could not exist without the true object, however it is only an outline of the true. Knowledge likewise is a shadow of spiritual things, however you may look at it, carnal knowledge of the law cannot set one free for the law amplifies sin, where the spirit amplifies the love of God through Jesus Christ, through the anointing of the holy spirit. The Holy Spirit is the part of God that is given to us through our being obedient to His will. Knowledge can let us know “about” something and if we set out to seek the love of God by having understood the shadow ( knowledge) of the thing, we by grace are given the true substance of the spirit of God directly by God. While we may have a substantial knowledge of the law, if we do not move beyond the letter of the law, as Paul proved, we remain in the legalism of the written word while denying Christ. To deny Christ really means to not become as He is and let His spirit be our spirit in likeness. It is that portion that God gives to us of Himself that we retain as individual entities apart from God while we yet remain in The vastness of His substance. We may go to a particular building on a certain day of the week ritualistically, which we falsely call the church, not understanding what the real spiritual meaning of the true church, the true day and the true sabbath is. On the natural sabbath day, we may listen to great swelling words spoken with great eloquence, pomp and pride, however none of these things does God require, request or admire. We must walk in our “true temple” which “we” are in the “day” of enlightenment and life, we must receive our daily spirit (word) from our Father as we ask for our daily bread which is Christ likeness and we must answer Him in the same spiritual word of sincerity and truth we receive it in. We do this by how we treat, love and forgive others. In other words we must live out what is put into us by our Father in heaven. We are given more and more of an increase of His spirit by Himself as we use and give forth what He has already given us. He keeps increasing us in His spirit and likeness while simultaneously taking from us our natural reasoning ego of self. If we move toward the spiritual word which is Christ we grow, however if we remain steeped in religious concepts and observing days, times, building and false teachers of the law, we remain in a sinful state of affairs. Christian churches today so the same things, loving to be seen and heard while keeping the masses as blind as they are, thus the blind leading the blind. Christ is the true “word” and He is the epistle we should be reading through the lens of our very God given word of the spirit. This word of the spirit is Christ likeness, an anointing that can only come through being obedient to your specific calling. It comes spirit to spirit, not by spirit to an intellect of the law. Ofttimes, I find myself not completing my verbal and meditative prayers because there is a quiet solitude of intent and desire which my verbal words simply cannot express in equal meaning to the spirit. Often times there are not any words to express our feelings in spoken words. Part of this comes from the understanding that we are His workmanship and He knows better than we, what we need for our next step in His direction. For myself, I know that He will provide all that I need and the wordless desires will be fulfilled in His timing. I know this, not by any good I have done or said, I know it by His promise founded in grace that He made to all of His offspring, and I too, along with all others are one of these offspring. We must without condemnation, accept ourselves as we accept others as a child of God to be brought to His likeness according to our calling and purpose. To love is a light load, those who require a long checklist of expecting others to agree with them are poor and blind and naked to the love of God. Love encourages one toward the light, it taking no thought of the sins of those it encourages to seek the light. Our sins or sinful nature will fall away by simply walking toward the light. We do not walk into a dark room and demand and argue with the darkness to go away, we simply turn on the light, giving the darkness no second thought. We therefore should walk toward the spirit giving no thought to our sinful nature for it will dissipate as we walk toward the light of day which is Christ our anointing. So…let us not spend time meditating on our faults, but acknowledge them, ask God to take them from us, and He will because we cannot. Many people spend a lot of their life dwelling on the fear of “can’t” therefore they don’t. We can do all things through Christ “which” gives us strength and this strength is His very likeness, His very substance. Through all circumstances we wait for it. So, do you really want an answer? that you were asking for a reply. Hi Travis – they do have an incredible structure, amazing the “words” of truth an image of creation can convey to our hearts. People have many different views about different topics. We share and give our views in the hopes of helping and building upon God’s word. Some agree with us, some disagree with us depending on one’s understanding of natural and spiritual revelation. Those who are more spiritual in their walk do not criticize and condemn nor do they have an intent to always find fault with what others have to share. Then there are those who are not happy unless they are at variance with someone or something. As I have shared we should concentrate on building up and not having a condemning nature to always be looking for fault or trying to besmirch others. People who do this are void of the truth, the truth being Christ. We grow from natural to spiritual so let us leave the weak and beggarly attitude of the flesh and seek to take on the spirit of Christ…and pray to know the difference. criticism, for you, to hold for others. else, but seems to be ‘your’, concern. meaning for others, because that, is ‘your truth’. Your truth, is fine, but that’s for you. None of us are responsible for ‘your truth’. and it causes you to mistrust others. But don’t apply that, to me. That’s for you to examine in yourself. know when it’s being spoken. The weak or confused, are offended. don’t criticize those who do. I have never asked you nor anyone else to see, conform or believe what I do. I respond to your criticism, I do not instigate it. You criticize another and when they reply you turn it around as though they are criticizing you. Yes, I base my comments on what God has given and allowed me to understand, as any other does including yourself. If there were 100 people on this blog and each had a different view we should with respect, respect them. You seem to want everyone to see as you do. Again it is not how I feel about your belittling attitude, it’s just that is how you are, this is not an emotional or offending thing to me, I read what you comment on directly to me and when I answer your affronts your words and demeaning manner speak for themselves. You need no help in revealing your true nature. Why can’t you give your opinion as others without being so unkind. How can you do the very thing you accuse others of doing and absolve yourself of such. I do not delve into personal confrontations with others but speak in generalities. It seems when someone speaks of things above your understanding you call this criticism of others and you take general statement s of the world condition as though another is talking to you personally. This is not personal, there are about 7 billion people on earth and I as you are just one. There are many that would agree with you about me and there are many who would agree with what I say. It is not for me to decide, it is for each to decide what they believe. I respect others views and do not require them to see as I do to befriend them or to have a respectful conversation about various subjects. You should take this advice and tolerate others views instead, it would do you well. If you can’t converse in a respectful manner when addressing another personally, then leave them be. another, is being unkind to, you. remains, true. It doesn’t move. It’s the lie of religion. and it’s the same for everyone. it’s not tolerance, it’s called a lie. rude, because the truth is in the Word. This isn’t a game of comfort. I’m just saying reread the Bible. What has truth got to do with how you say things? the ‘how’ of what they are saying. and drink his blood, to be his disciple. his statement, or leave as well. waters they stayed on board for the ride. of the cross as well. “get thee behind me Satan”. Truth often comes with shaking reality. My comments are my views to all who chooses to listen, if one thousand read these lines and choose to agree or disagree this is up to them, I do not care for them less because they do not believe what I do. If one of these thousand responds to what I have to say to me personally with such negativity as you have, I do not mind commenting or explaining myself if it would help to clear up some misunderstanding of what I say. Again it is for each us to decide and follow The Lord as best we can with the measure we are given and none of us should assume we have “it” all. We have by measure what we have. Another’s measure may be differnt from what mine is at this time in our progress but it is God who gives or abstains from giving according to the abilities of each do us. We should seek the love that bonds all to Christ whatever our personal views. We should not mistake knowledge for virtue for virtue can only come by the direct inpouring of the spirit into each as God determines. In most every article I read of someone’s opinions of their view on biblical subjects, I see some things differently. I have conversed with many of the same people for better than forty years and though we do not see all the scripture alike, we put aside our differences knowing the true path to God’s truth is not about agreeing in our doctrinal views but it is the bonds we acquire by keeping to pursuing God and His likeness through having a respect and love for another while we each grow in the path that God has chosen for each of us. We do not condemn, criticise, and put one another down for what each is given. For example, I see the Godhead different than many I converse with and we each understand the views of the other, however we leave our conversations in the same love we had for the other upon entering into a certain topic. We speak, we share, we with respect leave our variant understandings where they belong, behind the door of respect. I love these people with all the love God has given me and because they disagree with me or Inwith them, it matters little to us, for we see the greater good in the other and that is a desire to please Him and not one another or even ourselves. We seek to know Him in all we are and we each believe if we are lacking in anything God will in time give to each as He sees the need. There are many who see that knowledge of a thing is more important than another person’s feelings and personal views. We should leave personal attacks to those of little stature, void of a good nature and move beyond the letter and operate in the spirit of harmony. It is said we should live in peace as much as we possibly can with others, and although they may attack and be perpetually offensive to others, we should love them never the less because God loves us all, whether we are spiritual children or more mature. We all grow through the phases of life determined by God and ofttimes He places people at variance so that they may learn how to behave with another. If I answer another’s criticism of what I have to share, it is again my understanding and how I see things as only another can see what they see. Again, I do not judge another and criticize them for their personal views, however God expects better of us than belittling others for their understanding. While we may give what we have, and another gives what they have, how we treat others in our differences is a measure of maturity in the love of God. If we do not understand the fundamentals of civility, we have some self examination to do. Anon, I can agree with most of what you say in your last statements, it is a much easier read without the personal language. I see Christ in telling Peter to get behind was in that Peter was not living according to the will of God even though Peter meant well. We can mean well and do good things and still be outside the will of the Father. Christ was also telling Peter where Satan resides. It is said we either worship the Father or Satan so at that juncture Peter was not worshipping God but following the dictates of the carnal mind which follows the ways of Satan. But, as you say, Peter held steadfast as we all should when we are corrected as Peter. If we have a to serve God, He will make it happen. Peter, as we, sometimes say the wrong things although it is our intent to do our best. I am no different from Peter, this I know, this is why we should not rely on ourselves to find our way but put our trust in God through His son and if we don’t turn and run as Peter didn’t I trust God will fix all that needs fixing. For myself my way. Zeal can make many turns in the road. God, as their basis, and their center. you would accuse me of legalism. So I tried personalizing my statements. or sovereign position, as you stated. but fact, the fact, of how spiritual things are. revealed through the Word of God. specific understanding of His Word. because, Peter was misapplying knowledge. were lacking in his understanding. because Satan would have deceived Him. following yourself, God, or Satan. to learn and submit to His will, by choice. the written Word of God. is in the realm of truth and knowledge. So, to state His Word, is to state, Truth. when a person is deceived. spiritually, if they were intending to insult them. truth, and the witness of the Holy Spirit. be based on emotions, or comfort. against, lies, the flesh, and Satan. when people boldly speak the truth. His format is to be polite, and quiet. masquerading, as purity, and religion. walk, on the Word of God. This is what Satan fights. Satan is to be rebuked. This authority is given to believers. and he will flee from you”. This can only come from God’s Word. God doesn’t do the resisting. We all try our best to revolve our statements around what we perceive as truth. We each can have different understanding of what that truth is, this is the reason God created an attitude of respect and tolerance for those who mature to it. We do not and cannot all grow in the exact same manner as another. You may be living all you know and another in likewise manner according to God’s will for each. My perspective is if one is on different grade levels just as in a natural school, one should not disparage the other because one is of and on a different level of schooling. I would like to point out something in as a respectful manner as I can and that is; when I read Rachel’s sharing, yours or anyone else’s I never respond in an unkind manner toward them for their views and beliefs. When I share or “shared” my perspective on subjects I did not address you or anyone else in a personally condemning manner. Not once. The “only” time I respond to another on this blog is when they comment to me directly about something I write and how they address me is how I respond. When I first observed you responding to Rachel’s comments and others on her blog, I saw a very rude and condescending person, this was before we had any dialogue whatsoever. You called Rachel many things which in my opinion just were not so. If she had attacked you for your views you may have had cause to respond in a stronger language but she so gracefully let your insults go by and treated you with the same kindness as though you never called her disparaging names and condemning her to hell or whatever you thought you were entitled to do according to the way you see righteousness. When I started adding to Rachel’s blog, I did not once ridicule you, her or anyone else for whatever they believed. I still do not. When you started condemning me for what I believed as you had previously done to Rachel I responded by trying to clarify what I believed to be a misunderstanding by you of what I meant. When I took the time to “try” to clarify “my” belief and the why’s you took my response to your ridicule as an affront on your belief. I was simply clarifying or attempting to what I saw as a misunderstanding by you. Then you would falsely claim I was attacking you! I do not mind answering your questions or addressing your assaults but when it is you who instigate the dialogue in a condescending manner and I answer you it is not I that is instigating a dialogue but I am only the responder to it. It appears that Rachel has over a thousand people who follow this blog and no one responds in such a personal and vindictive way as you do. You say I accuse you of legalism. This is not so, you provide your legalistic points of view of the bible to substantiate your “truth” to “prove” your position against another. My comments in return to your unkind attacks may be blunt and to the point but condescending I am not. You are legalistic because your certainly not kind in your use of words. I agree with you, one should be bold in The Lord but boldness in The Lord is not what you are putting forth, you are using the written letter of the word to cut and wound without cause, you believe yourself to be above others in understanding because you believe, well devils believe. You do not speak to others with their welfare in mind but in a defensive manner of protecting your “legalistic” views. Again I am not accusing you of anything but after taking much of your pretentious attitude of being holy, I with equal “boldness” are telling you, you do not have any right whatsoever to condemn as you do. You call it defending the word of God. I see it for what it is, a person using the law to justify themselves instead of aligning themselves with the spirit. I know you are going to again accuse me of criticizing you but I see it as I have a right as any to address my accuser, and my accuser in this situation is you. You step well over the line in just about every time you open your mouth. It is not my intention at all to be rude to you but after seeing you slander and ridicule just about everything Rachel, I or anyone else has to say that differs with you, I feel like it is best to just tell you what I observe, and what I observe is that you use the law to justify your unkindness to others instead of pursuing the love of Christ in addressing others. This is what a legalistic does. You also say yourself that you believe a building is a church, another legalistic view. You say a particular day of a natural week is the sabbath, another legalistic view. You say many things that I see as legalistic and this is not a criticism, to me it is just fact, not truth, but fact. And…I have no problem with you if you see and understand this way at all, it’s just that I do not believe one should be attacked as you do to others, and expect no response from them…and when they do as I have you, I have no right to have my views independent from you?? We can each have our understanding as God wills, and it will be different, however we can with a kindly respect, disagree. My strong language is in response to being continually criticized for my belief that I share with all, yet you take what I have to say to all as a personal statement to you when it is not. Again when you invite yourself to respond to another uninvited it opens a door to a response that you ask for, and a kind response you do not recognize, but when someone does respond to your lack of love for your fellow man, you come unglued and spew the most incoherent and hateful speech as you can muster. “And all in the name of God, so you say. This is not boldness in The Lord, this is arrogance. Kind responses do not work with you as is proved by Rachel’s responses to you. It amazes me that one such as yourself understands little between spirit and law. A legalist is one who defines and uses the written letter of the law to justify what they believe without considering the welfare of the one they address. They are void of compassion witnessed by their own behavior in attacking another using the law, as did the Pharisees used against Christ. If you are as far along in your spiritual growth as you claim, then why are you not more tolerant with others who have less in spirit than you as you claim? You show little of the beatitudes in your dialogue with others but you use the “written word” as your defense. This is what I believe a legalist does. Now do I condemn you or am I condemning you for making these statements? I do not and am not, I just feel that by you being so hateful toward others with a different understanding than you, and when you invite a response by your accusations, a response is warranted. Since you invite yourself into another’s life and give them unsolicited and direct advice and criticism, I feel you should take your own advice in word and learn from this. I do not offer this admonishment unsolicited, you come across to people as arrogant and in a very condescending way. This is not my opinion at all, it is because this is where you are in your growth process. Yes, I believe you are probably doing all you know and believe you are right in giving this criticism as you do but I do not see this as a healthy attitude to have nor does your words come from the spiritual man. I write to all without making it personal to any one person as I respect all the views of others on this blog. What I do not respect is the disrespect you display. A legalist thinks words trump kindness and they are righteous by reciting law. Since you are always quoting law to substantiate your righteousness rather than furthering the beatitudes it is self evident you are still under the law, bound by legalistic views and laws. When one loves they fulfill the law and therefore there is no longer any need to defend a doctrine doe love needs no defense because love is a law fulfilled, the shadow becoming the true object. If my words are weighty and seemingly overbearing it is not my intention to be rude to you but address you as you invite me to respond. And since your accusations take on such an amplified tone I am trying to meet it with a response that is equal in force. No one likes to tell another the things I am telling you but I hope to get you to stop and take a good look at yourself before you try to continually correct others when you are not equipped by the spirit to do so. If you were equipped in spirit you would be full of compassion and understanding, patient and kind. If you are any of these things you do not reveal any of these loving traits as we are instructed to do by understanding the beatitudes and how to apply them. I noticed that if another on this blog compliments either what Rachel or myself may say, this also seems to upset you and it ramps up your anger for you interject yourself and what one may say in kindness you try to tear down by vice. You accuse us of being bound by emotionalism when it is you who are constantly upset by what others believe. I will close in saying I see that you have a zeal for God, but it is from a viewpoint of law without mercy, compassion and respect for others. You believe one is righteous by their understanding of the law as you so pointedly put forth. Whether you believe it or not I accept you exactly where you are in your understanding and I do have much tolerance for people of opposing views and natures. I do believe you have a lot of “mote” in your eyes while trying to remove the beam in another’s. As well meaning as I believe you are in your zeal, I believe, as your words confirm you are full of law and therefore judge by the law. The other side of the law is found in the true, the beatitudes to life which the legal law is void of. I believe without a doubt that God loves you and will bring you to all that He is in time. What I have to say about my observations is not that important in the grand scheme of things, however I can assure you that everything I have said to you is from a love that God has instilled in me for you as well as for all others. You will not take this as such in your present state of mind but never the less it is true. I know my heart and though I know I am not complete I know the difference between love and hate and I know my purpose in spending this much time in responding to you. I have no way to respond to your demeanor other than where you address me in this forum. If we cannot with respect address another we should keep our opinions to ourselves. I wish you well, again. the Father can’t forgive you. I forgive you for lying. Stating the letter of the law is not stating truth for many state the written word and there can be no truth in it because the message of truth must be in the heart and not on a page. For every spiritual word or action there is a natural parallel. There is a great gulf between natural and spiritual. A natural word on a page far from the spiritual word which is Christ Himself which is the only real truth there is. A giving forth of His spirit is truth, reciting words from a written page regardless of where it comes from has no truth in it. Truth comes by having a “relationship” with our Father through His son, all else is falsehood and vain speaking. So stating His word is as far from the truth as this statement is for truth does not come by stating what is written but by living what is within. To further state that God is not in control at all times but Satan is shows you have little understanding in the sovereignty of God. There is no power but that which God allows. In making the statement that Satan “has this “right” and “power” and Satan somehow has influence over God when one is deceived is such hogwash you should be ashamed of yourself for belittling God as you do here. One may be deceived and has made their bed in hell as the scripture records but it is also recorded that though one may make his bed in Hell, God is right there with all power over everything. When one gives power to Satan as you do, this says much about whom you serve. Deceived or not we are the Lord’s children and we are His workmanship regardless of our stature and level of understanding. You say very little that is not contradictory, blasphemous and hateful. This is far from truth, your words reveal what is in your heart and I see very little of the love of God in you. I know you are trying but it is time to quit trying and let The Lord do the work. He will replace the written word with Himself, the only truth there is. Are you saying I need to forgive you? So you are saying you have done me wrong? I think in my numerous writings my message is based on love and forgiveness, not as one looking for fault. I do not spew hate and an unforgiving attitude out your mouth, you do this of your own volition.. I haven’t a thought of hate nor an unforgiving spirit toward you as you may think. I hate to be the one to bear the message of your lack of respect on this blog but you need to be spoken clearly to because your complete demeanor is to find fault. I say this in the hopes you will stop your foolishness and ask for forgiveness from the one who can change you. In knowing you I know how you will see me as one who has taken the move to call you out on your attitude but since you do not know when to take sound advice in a civil manner, here it is bluntly. As God be my witness I speak truth to you about your attitude. I know whereof I speak and I have no apology to give although I do pray for you daily and hope sooner than later you see the error of your ways. This you brought on yourself, and it is you that must take responsibility for your misguided ways. I do not look for fault because it is there for all to see. After much consideration and thought and seeing that you think you are right in judging others while saying you don’t it is clear that it does take another to tell you what you will not see. To comment on the love you say you have for me, your words do not reveal this for your words reveal your true heart. You have religion but the love of God for others is far from you. Our words do reveal our true selves and though one calls good evil and evil good does not make it so. I do not expect you to like me for being so blunt but again I know my heart and I know my limit to what I can say and not say for I know The Lord is in my words for my intent is to turn you to the true gospel away from your religion of self and self is ego and ego is not something to have in pursuing the love or God. One who is pursuing love seeks to love, not to find fault, one who desires righteousness seeks speaking rightly to others, not with condescending language such as your nature reveals. Love speaks kindly and is found in the pursuit of good and finding the good in all people. I believe we should speak with as much love and respect to one another as can be allowed for we are instructed to live in peace with one another as much as another may allow us to. write about or say to another. Love tolerates. You need to stop and see that the evil you want to do away with is not in others but in yourself. Let God deal with others and you work on yourself, I’d you can see where the enemy really lies you will die to self daily as Paul explained. Th evil we all need to do away with is that inherent nature we were born with, in us. If we acknowledge our sinful nature and ask God to deliver us from it we will have little time to look for fault in others. I understand that love comes in many forms for God loves us all and will correct us and sometimes His love comes in a corrective form which we do not like for the burnings are sometimes severe. gather for you and pray. that will need to be cast out. spirits may be controlling your mind. afraid of the Lord Himself. in you, or anyone else. to love them, and any type of consolation. you in the name of the Lord. love you and pray for you.